Teamwork requires guidelines. It’s easy to join a team but the challenge lies in being a part of the team. SaberCraft goes beyond just having weekend warriors that get together for class. We build a family environment and we want everyone to be a part of it. But unfortunately, many folks have very high expectations but are not willing to do their part to support their fellows in class. At SaberCraft, we take a modern approach to what are the Eight Limbs of Yoga. Yoga goes beyond touching your toes and actually builds a model of how to live life – happily. To start with, we have 10 basic rules which are The Restraints & The Observances which are considered the first of 2 limbs of the 8 limbs. Consider them chapters in the manual of being a better individual. These Observances, listed below, from the Eight Limbs of Yoga are done by the individual to demonstrate to the other members, your strength and commitment to safety, progress and discipline to the art of saber-wielding. By abiding by them, the group will thank you for it. Below we also have examples of how to approach this in a practical manner and why we ask our members to abide by this. Cleanliness means that you have taken the time out to prepare your costume, sash and sabers. When attending Cons or public events, we are asked many times to come in costume. Many times, these public events will follow in immediate succession which may not give you the opportunity to clean a particular costume or ready a blade by proper tightening & switching out batteries. Know that your appearance represents us as a group and that you should be mindful of the image that you are conveying to the public and to those in class. It’s important to practice proper hygiene and have your costume or clothes on the day of practice be clean and presentable. Have your blade tightened and your batteries charged with backups immediately available. If you cannot switch batteries, have a back-up fully charged blade ready to go. Apparel should not be offensive to the general public. Be on top of your gear as it represents you and we want you to look your sharpest. How this is enforced: If you attend a public event and your costume smells funny, severely wrinkled and unpresentable, we will let you know and ask that you do not perform. Contentment deals with that internal voice that continually says, “If only…”. “That cosplay contest was great….if only I could have gotten first place.” “That performance was great…if only I didn’t mess up the last 3/4 combination.” “I would have had a great time in class…if only I got to practice with this person instead of that person.” Life is a gift and we share the present. Contentment is the most important feeling you need to cultivate to truly take-in the beauty of the life you live. By removing the words “If only” and accepting what is real, what has happened and cherishing that – then you can truly live in the moment and not sweat the small stuff but rather accept the big picture that is your wonderful life. Remind others as well to be content with what they have for it can go away in a fleeting moment. Most importantly, be content with what others deliver. If you work with someone that frustrates you, don’t focus on changing them – focus on how best to help them to achieve a point where both your and their expectations meet. How this is enforced: If you are a debbie-downer about everything, you will be asked less to participate as it will bring the morale of the group down. This will happen naturally as others in the group will tend to flock around others who make them feel good. So do your part and help lift people up. 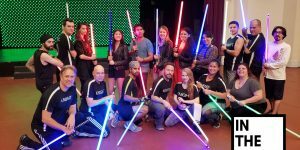 Your practice is what makes you a safe participant in Saber Combat. Without continual devotion to your practice, your abilities in this sport will suffer. By continually practicing with others, both large and small, you develop your skill set, build a repertoire with others and learn how to use and modify your training dependent on partner and scenario. Not everyone is built the same. Not everyone swings the same. There will always be folks who barely put force into their swings to those that will smash every time they make contact with their sabers. With continual practice, you get to learn everyone’s specific approach and style making you more proficient with each practice. What’s most important is that when a group is working together for an event, practice is an absolute necessity and cannot compromise proper practice and safety for convenience. How this is enforced: If you are practicing for an upcoming event, participants who miss 30% of practice time will be asked to not perform. Commit only to what you can – not what you think you can. Now that you understand how committed we are the practice of our sport, it’s important that with your training comes continual self-study. What that means is that you not only put in the time to practice but you also put in the time to review your own work. A lot of this has to do with watching footage of your performances and using that to guide and improve your work. It also goes beyond just clashing sabers and looking at the group as a whole and contributing to it. It’s looking at the whole and seeing how each and every one of us contributes to the community and nurturing that. Many folks will get so caught up in what they’re learning that they forget why they chose to learn it in the first place. Why did you seek us out and start attending? 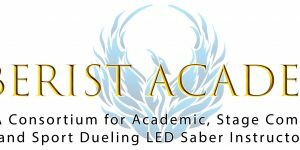 What was your goal in learning Saber Combat? Are you still abiding by that desire? Has something changed? These are questions you should always be asking yourself to ensure you’re on the right path. Without this continual questioning, you may follow a long road to nowhere rather than to one that leads you to a goal you have in mind. What’s important is that you remember that goal. You nurture and modify that goal with time. In addition, consider how you can always be better. How your gear can always improve. How your costume can always be enhanced. How this is enforced: Self-doubt is what will cause you to perform badly. This can only be enforced by yourself. You can’t improve anyone else’s discipline other than your own. Focus on your skill-set. When all is said and done, understanding that you are part of a whole group is what’s most important. Our ability to let things go will allow you to adapt to any personality conflicts, self-doubt, along with worries and fears you may have just before a performance in front of thousands of people. When we are doing a performance that could be televised on TV or visiting a hospital for children and your emotions are getting the better of you, remember the inner hero that you have inside of you. Cultivate the strength of that hero and bring them forward – walking as them. Sometimes there will be conflicts and opinions may differ in the group. Sometimes, we will rehearse for a performance for months and at the last minute, your role may be cut because of a time-schedule change that’s beyond our control. When things like this happen, you must be flexible enough to roll with those punches rather than releasing your frustration to members of the group. We’ve all been there. We know what it’s like. So what’s important is that we work with the group to understand that the group is not here to support us. We’re here to contribute to others outside the group and we work together in that goal to make it happen. Our goal is to make others feel great and feel like heroes. In turn, we promise, by providing this service to others – you will become the hero. How this is enforced: Anxiety and external stress can get the better of you. Leave it at the door. 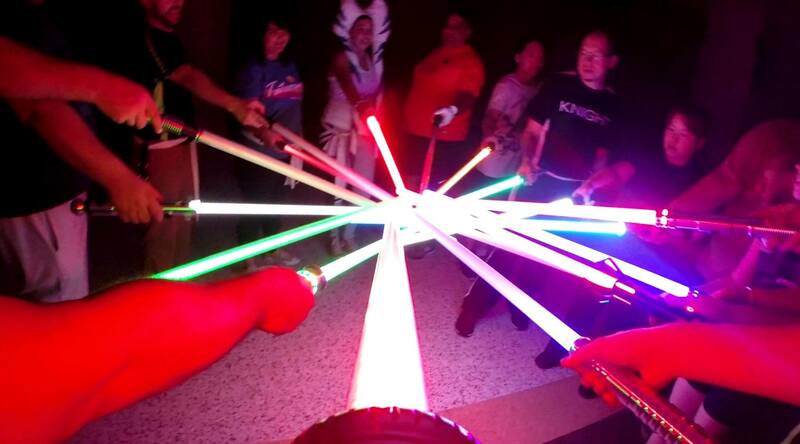 When you come into class and light your saber, be your finest. 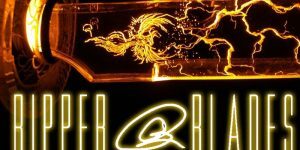 Be sure that you have familiarized yourself with The Restraints as the living a life by the code of both may provide you a better quality of life. For sure, you will be a better team player knowing that the rest of the team is abiding by these rules. The Eight Limbs of Yoga is a path written thousands of years ago and it is a guide to the path of proper meditation and one-ness with the universe. These guides are a part of that journey to make us better to one another.